click here for 2nd ver. NICE Done Buddy! Muak! Love ur artwork, Love 07-Ghost! 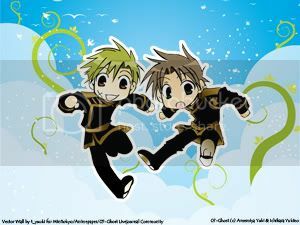 Two chibi, lovely. And the protagonist also such looks silly, whether that has any refinement. 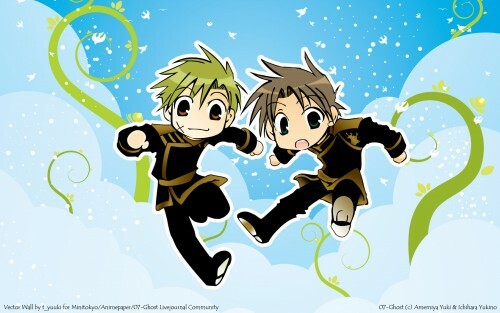 Chibi Mikage and Teito are so kawaii~ Thanks for uploading this! How cute! Very nice! I like it.